Gone are the days of taking it easy, sitting back with your feet up and eating for two… New research shows that none of this is good for either Mother or baby. I probably did way too much of all of this during my first pregnancy which led to weight gain and a longer recovery from my emergency c-section. I found that my lack of strength really had a knock on effect on my energy levels, on my core returning to its original state and I was at the heaviest I had ever been. It took me around a year to feel able to return to exercise after an unsuccessful attempt at 6 months which would lead to severe abdominal pain after each class for a few days after. I just wasn’t ready. If you are a regular reader of my blog or if you follow me on social media you will know that I have been exercising regularly ever since and have been determined to get my body back to its best. 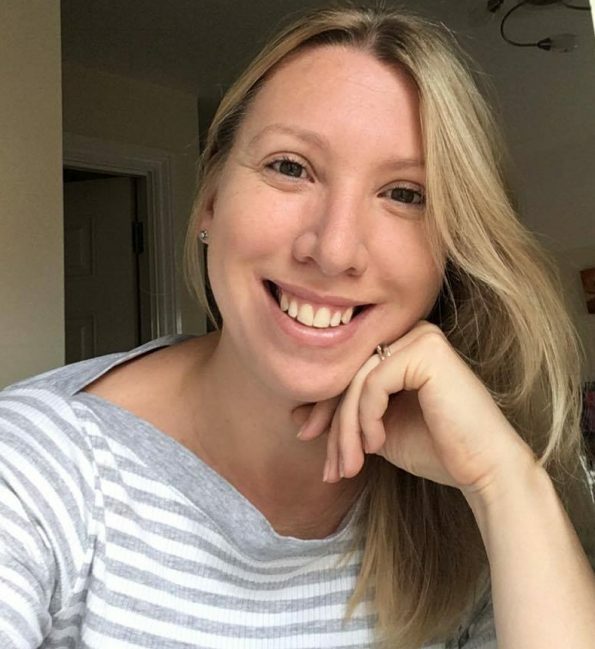 I was very lucky with my diastasis which I think may have come down to me being fit in previous years, saving my core from the damage of pregnancy and this has meant that I could focus more on strength and fitness building– more so in the last year when I discovered the amazing work at Studio 41 in Basingstoke. I was blown away by the fact that heavily pregnant could lift weights, kettlebells, use battle ropes and take part in normal classes. You always hear of Mums to be being told not to lift anything heavier than a shopping bag- something that I was told just a few weeks ago by my midwife that all expectant Mums should be doing. Yet, here is evidence that pregnant women can achieve excellent fitness and continue to train as normal. There are, of course, a few areas that need to be covered before you go out and begin exercising like a mad woman! If you aren’t used to exercising pick walking, pregnancy yoga or swimming as your choice of workout. 20 minutes a day of walking is now recommended by the NHS. To ensure that you aren’t overdoing it always use the talk test. You should be able to hold a conversation easily whilst working out. If you can’t talk whilst exercising you are overexerting yourself. I tried to continue working out through my first trimester but the sickness was so much worse this time around that I just couldn’t face it. I sensibly took about 4 weeks off and on my return, I tested the water with each activity and the equipment. I did lose a little fitness but I have really surprised myself by gaining this back and by continuing to lift almost the same weights as I was before. I always listen to my body and will, for example, reduce my kettlebell weight if I feel the strain or take a break if a certain exercise has me short of breath. So, what are the advantages of exercising during pregnancy? I can honestly say that I feel so much fitter, stronger and with less aches and pains in this pregnancy than I did during my first. I am also hoping that this will lead to a natural birth without any need for intervention. I feel confident that I can continue to exercise under the correct guidance up until my body allows me to. Find suitable comfortable clothing- I wear maternity workout clothing designed and made my SpeedBump. Read my full review here. Find an instructor who has good knowledge of training somebody through pregnancy. Take a large water bottle to every session. Find a class or activity that you love. Don’t force yourself along to a class just because you think it is good for you. It is so important to enjoy being there too. Get chatting to the other women there, you can make some fab friends if you attend the classes regularly. Enjoy having a fit and healthy pregnancy! For further expertise in this area, I can highly recommend this book written by my fitness instructor, Marie Behenna. What’s In Your Comfortable Family Home?